A natural extract made from olive polyphenols could help to increase learning and memory processes by increasing levels of important proteins in the brain, according to new research in rodents. this study published in the journal Nutrition, the researchers provided mice with an olive extract that contained olive polyphenols. This olive extract was obtained from olive pomace, the remains of the olives after the oil has been extracted. After 10 days they measured levels of Nerve growth factor (NGF) and brain-derived neurotropic factor (BDNF), which are neurotrophins.Neurotrophins are proteins that are involved in the proper functioning and development of neurons. According to the researchers NGF and BDNF play key roles in brain cell development, growth, and survival. It’s not often I manage to get down to the “local market” but fate had it that today I was to pass right by its front door. What a market! If only all local markets were the same. 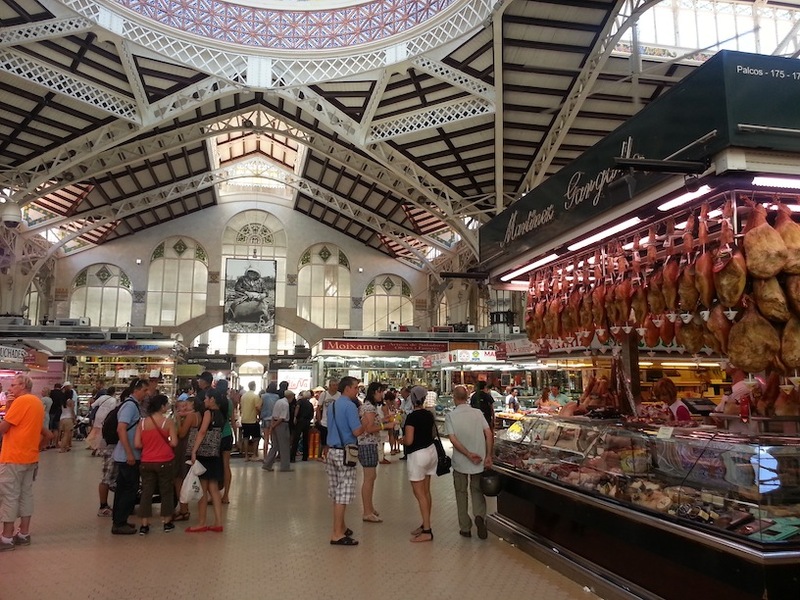 I have to say that Valencia’s central market is really something special, not only from a culinary point of view but also from a tourist’s point of view. Every time I walk through its doors two wishes come into my head: 1.That I lived closer to it and 2. I could afford to buy there everyday! 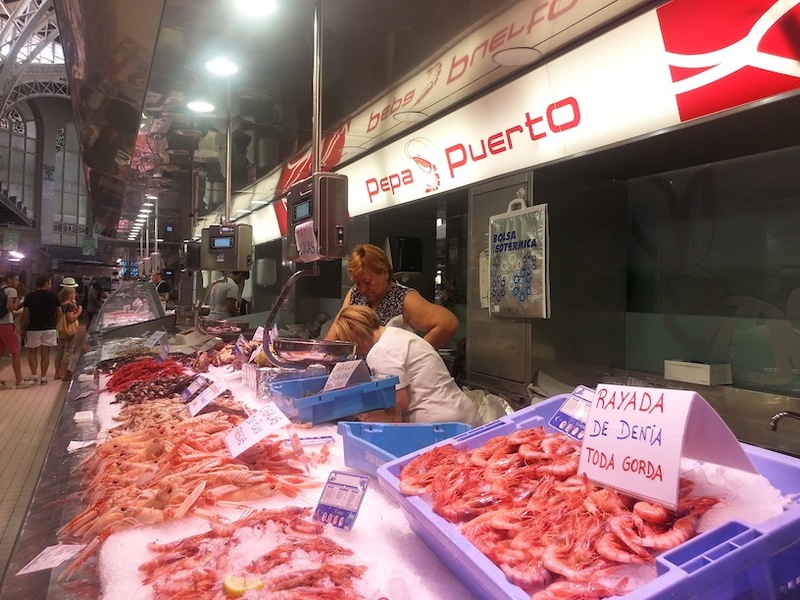 It is not cheap by Spanish standards but then again the delicacies on sale here aren’t normally on your daily menú. When I say delicacies I mean a wonderful array of fresh seafood brought in direct from the Lonja auction and one of the most established stands is Pepa Puerto which offered some spectacular Scampi (cigalas), Caribineros (Scarlet Prawns) and Striped prawns from Denia, a delight for any rice dish or just on their own cooked over a griddle, you can even pick up some live eels which are very typical in this region for the famous dish All i Pebre. Unfortunately this time none came away with me. 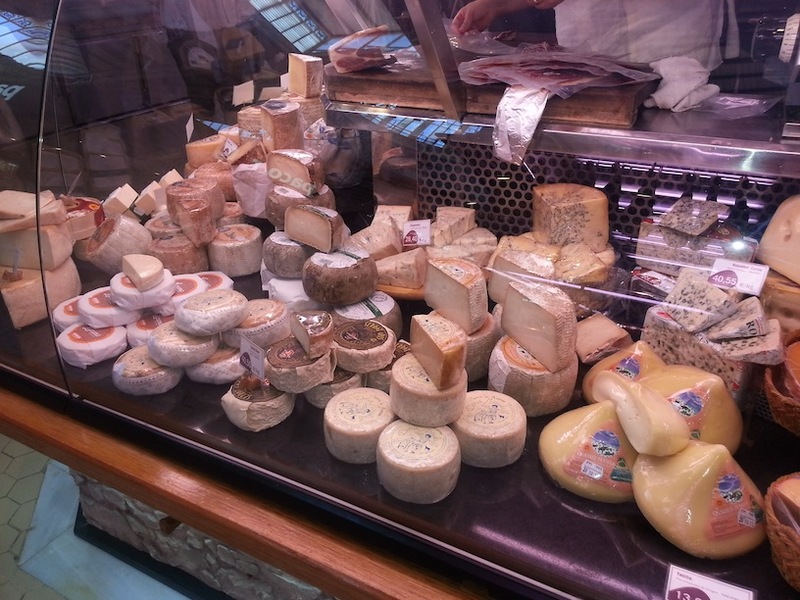 Local organic vegetable, fruits, hams, cheeses, chocolates, desserts, natural fruit juices, meat, local sausages, you name it, you’ll find it and all of the highest quality. 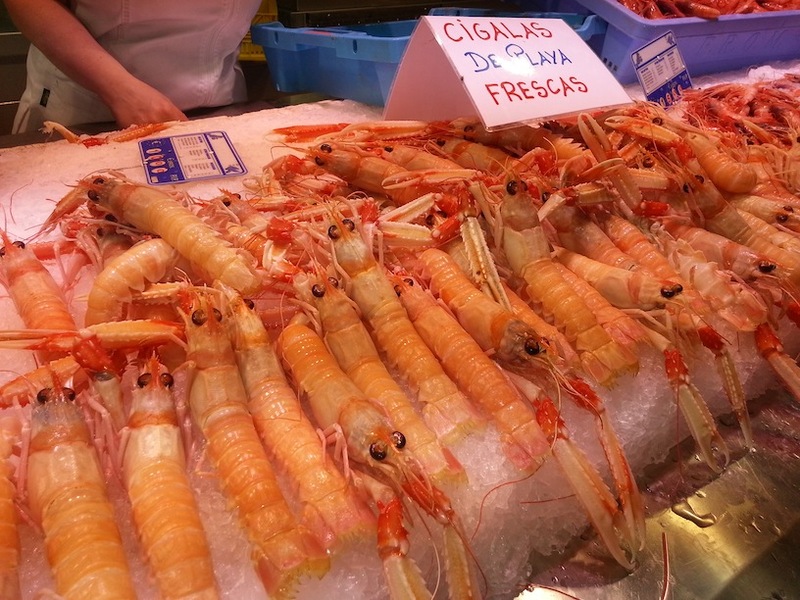 This is what singles out Valencia’s market from others, its quality is outstanding and the choice on offer is unending. 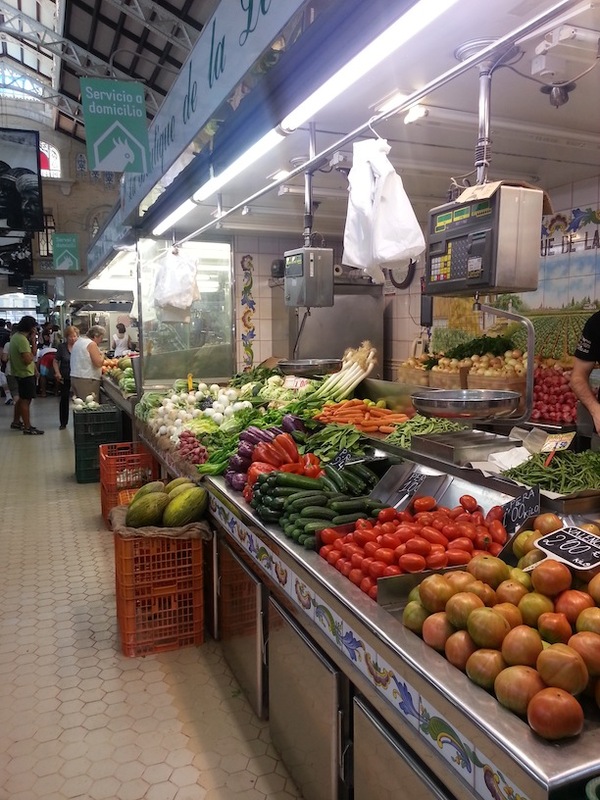 It is sheer heaven for any food lover and a must if you ever decide to visit Valencia. Surrounding the market building there are plenty of places to eat and enjoy some of the local food on offer from the market. 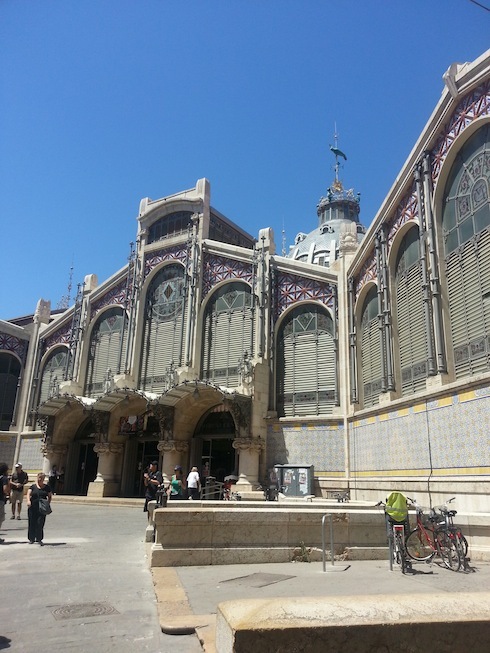 The Mercado Central itself, is a spectacular piece of architecture and one of the most attractive and visited buildings in Valencia. Built between 1914 and 1928, Its architecture matches the aesthetics of the square and blends perfectly with two other important monuments: La Lonja de la Seda (the silk exchange) and the Church of Los Santos Juanes. It is undoubtedly the most representative building of early 20th century Valencia, a city which was advancing towards technological and commercial progress and felt proud of the agricultural potential of its farmland. 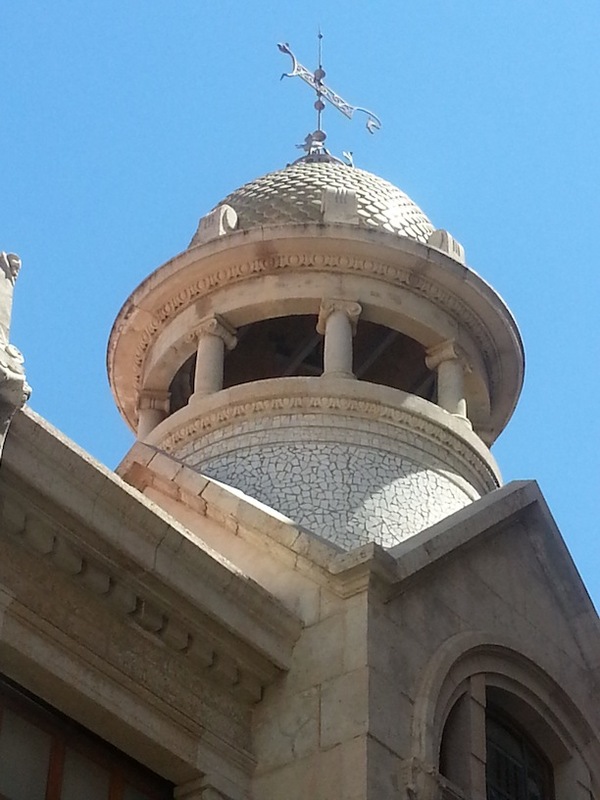 The iron, glass and ceramic domes (the central one is 30 metres high) and the two weather vanes on top of them (in the shape of a parrot and a fish) blend into a typically Valencian skyline of towers and bell towers. 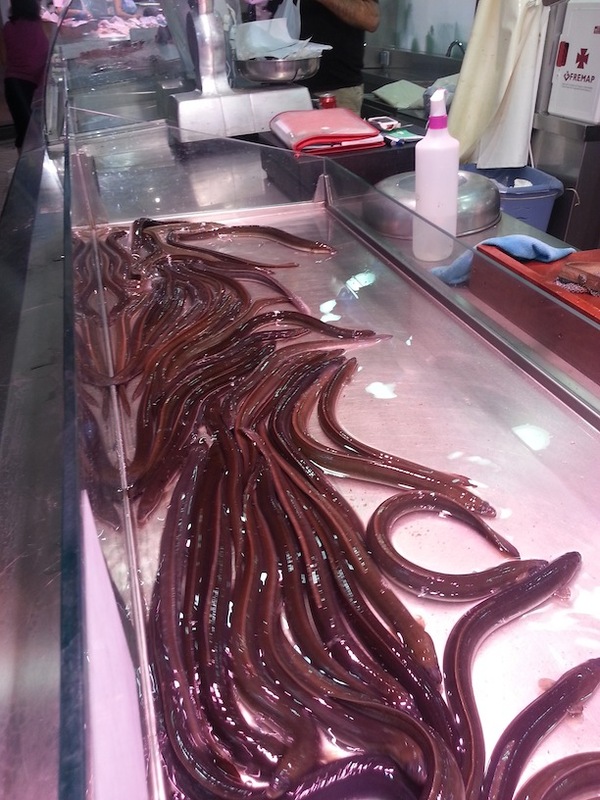 The market has always been renowned for the quality, variety and freshness of its products as well as the helpful, personalised service provided by traders that work there, all terribly proud of what they sell. 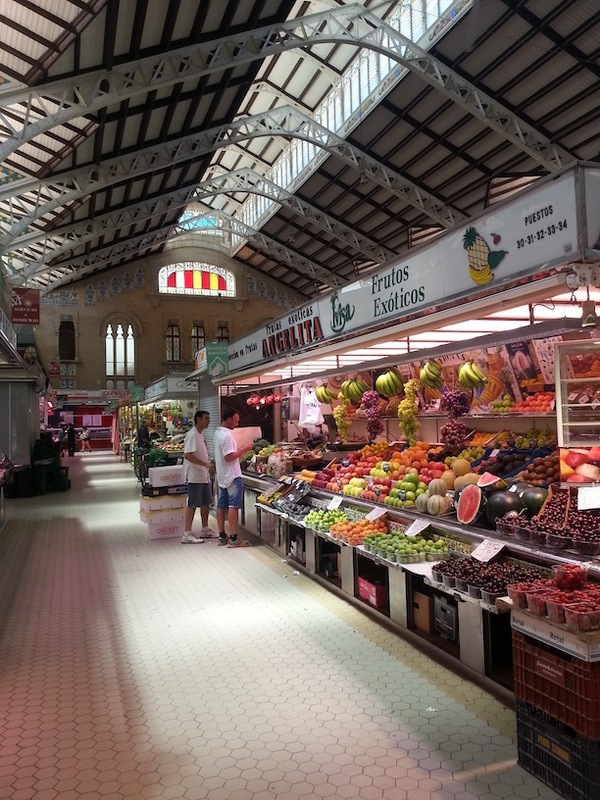 This impressive market is the largest and one of the oldest markets still running in Europe today and covers exactly 8,160 square metres divided into two areas or zones. The first one is an irregular shape with a surface area of nearly 7000 square metres and the other, which is octagonal and covers 1,400 square metres, houses the fish market. The basement, which has just under 8000 square metres, was previously a fish auction and is now used as a car park. The heritage behind this market goes back centuries as a market has been held here in the very same place since the early thirteenth century. The market brings together almost 400 small traders and 1,500 people are involved in its daily activity. No other centre in Europe specialising in fresh products matches it in size. Additionally it was the first market in the world to rise to the challenge of computerising sales and offering home delivery. 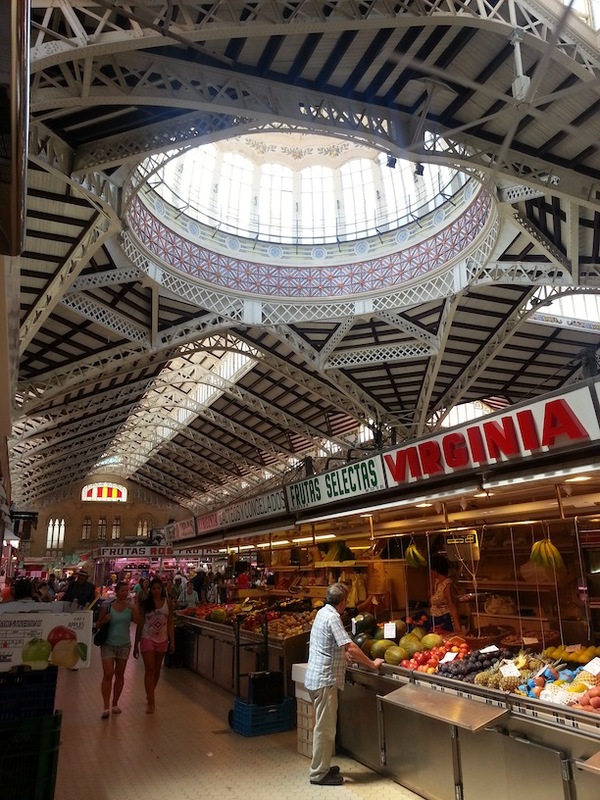 Nowadays, the Mercado Central is an important economic focal point of Valencia, not only because of the traders but also because of the large number of tourists it receives, often it is the first port of call for all Cruise liner passengers when they reach Valencia. 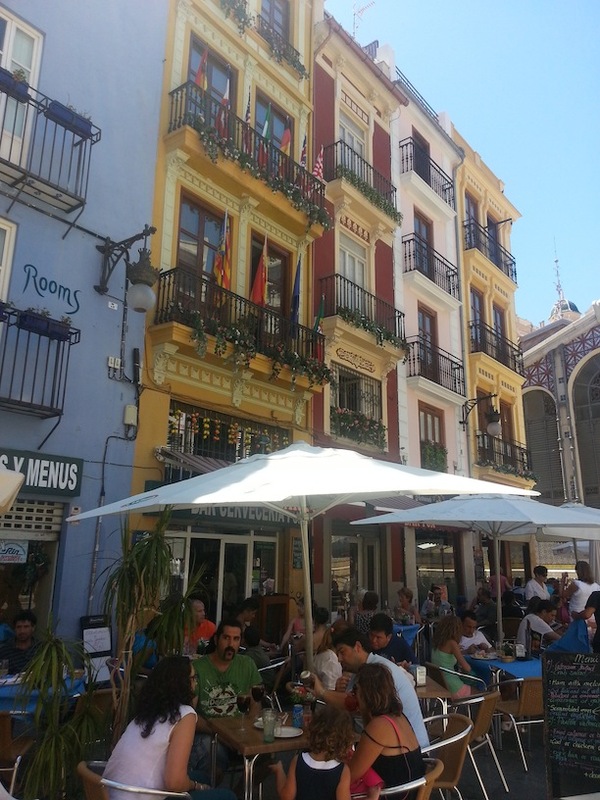 So if you ever happento pass through Valencia, I highly recommend you pop in and savour the culinary wonders that Valencia has to offer.